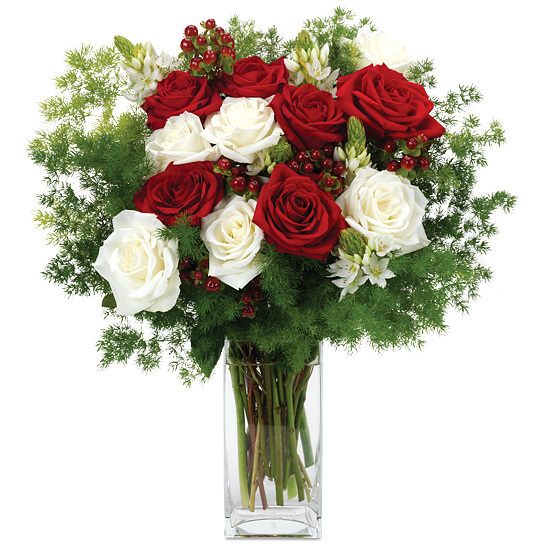 Fun and festive with stunning style and sophistication, our holiday luxury rose bouquet offers all the best gifts of the season. 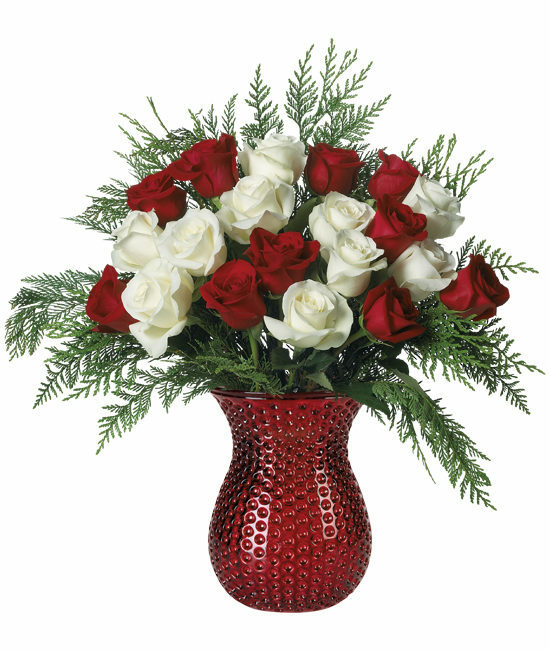 We’ve paired ten radiant red roses with ten more the color of pure white snow, placing them like heirloom ornaments against a flourish of sweet cedar. Our curvy red dot vase completes the merriment.